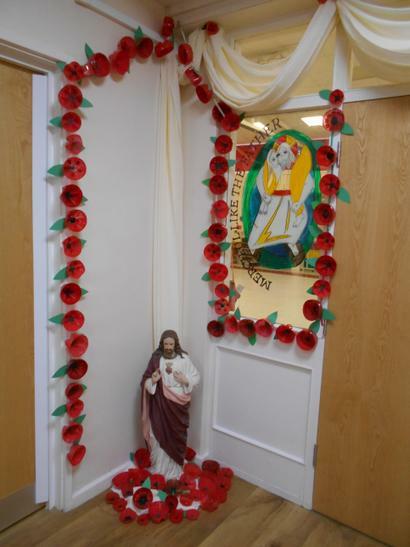 This morning, the pupils from St Peter's Class led the school remembrance service which was attended by all pupils, staff and many parents and familiy members. 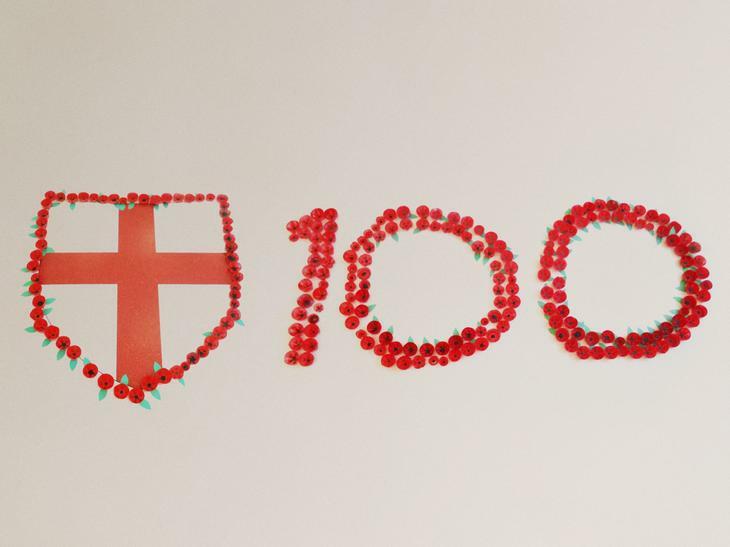 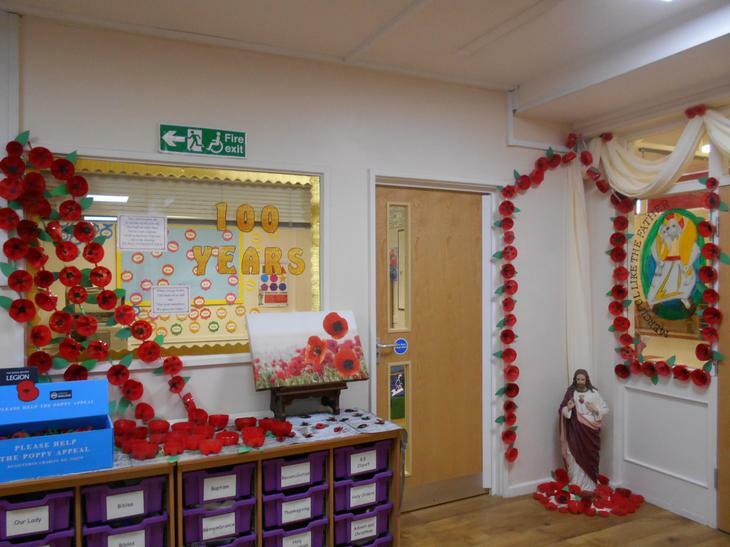 All classes presented a poppy wreath they had made and earlier in the week all pupils prepared poppies from plastic bottles which were laid out in the shape of the shield and the number 100. 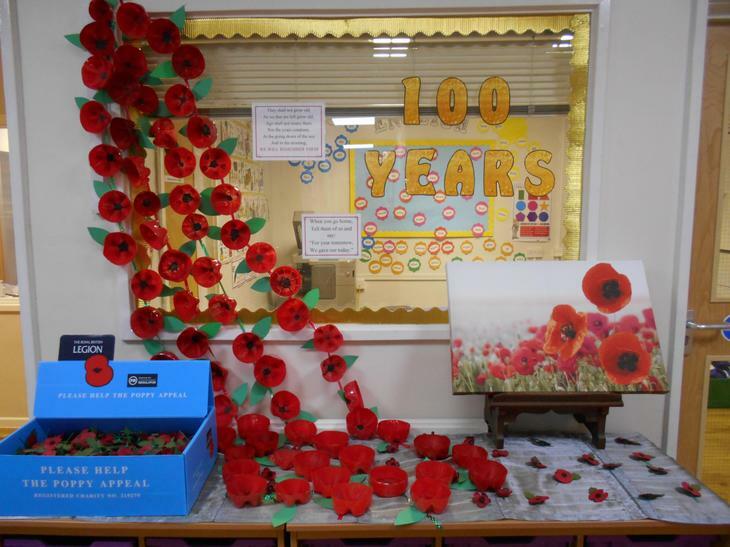 These poppies then became the focus of the remembrance display in the foyer.